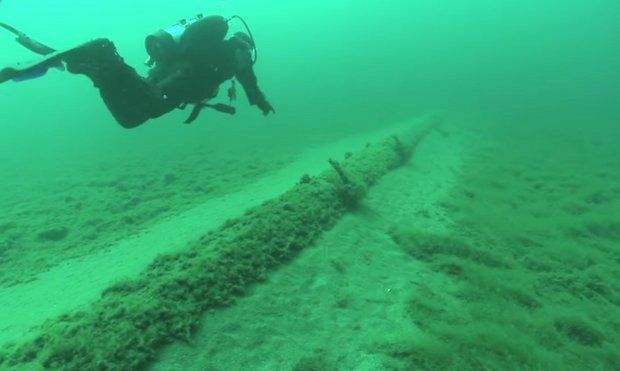 Awaiting the findings of state-commissioned studies that will determine its future, the controversial Enbridge Line 5 still rests on the floor of the Straits of Mackinac, pumping crude oil and natural gas from Superior, Wisconsin, to Sarnia, Ontario. The studies are now set to come out in June, after slight delays, and will be followed by community input and a final decision about whether to keep the pipeline running, improve its safety or shut it down. Environmental advocacy groups fret that the reports may weigh in the favor of Enbridge Inc., the Calgary energy delivery company, which is paying for the research. The state of Michigan is eager to alleviate such concerns, assuring that the methodology of the investigation ensures objectivity. The pipeline, which was commissioned in 1953, has been denounced by environmental groups across the state and nation for what is perceived as antiquated construction and inadequate maintenance. Citing concerns about upkeep, previously reported violations and oversight, the Sierra Club and other environmental advocacy associations have for some time been wary about a possible Line 5 rupture or spill. Two independent contractors are currently conducting reviews – risk analysis and alternatives analysis – of Line 5. Upon analyzing the pipeline for any dangerous vulnerabilities, DNV GL, the contractor responsible for risk analysis, will deliver its findings to the state mid-year about the imperviousness of the structure. Dynamic Risk Assessment Systems Inc., the contractor delivering the possible alternatives reports, will simultaneously reveal its conclusions. Although a final hearing on the issue will not take place until a few months following the draft reports, anxious parties are already compiling a case file to argue for the removal of the pipeline. “Their future is at stake directly on how that turns out,” Holtz said about northern Michigan communities, adding that affected areas would range from Traverse City to Alpena and include Mackinac Island. Mike Ripley, the environmental coordinator for Inter-Tribal Fisheries, an assessment program of the Chippewa Ottawa Resource Authority, echoed Holtz’s sentiments. He said that more than half of the tribal commercial harvest comes from areas within the projected radius of impact. Joining the Sierra Club and the Chippewa Ottawa Resource Authority in protest are a bevy of groups, listed as partners by the Oil & Water Don’t Mix campaign. They claim that if the pipeline were to rupture, there would be irrevocable damage to northern Michigan communities, commerce and tourism. The question revolves around the likelihood of that “if,” which is why the Michigan Department of Environmental Quality commissioned the studies. The studies are subsidized by Enbridge, a fact that has alarmed environmental organizations that fear favoritism. “It remains to be seen whether that’s worth the money,” Ripley said about the studies, which cost Enbridge $3.6 million. The DEQ insisted that impartiality was a non-issue, saying researchers are isolated from any pressure from funders. Enbridge delivered the money necessary for the studies to the state. From there, the state directly paid the contractors using a third-party bank account unattached to Enbridge. Throughout the process, Enbridge, Michigan and the contractors have maintained constant communication. That too, however, remains directed by the state. In cases when the contractors require certain figures, blueprints or statistics, the state serves as an intermediary to acquire the sufficient documentation from Enbridge. The state then delivers the information to the contractors. Goddard said that when the information is technical in nature, the state does allow the contractors to directly contact Enbridge to prevent anything from being “lost in translation.” However, the state demands documentation of those sessions, most of which are conducted by email. Dynamic Risk Assessment Systems will not recommend a judgment on alternatives, instead providing a holistic overview of each possible approach. From there, the state will determine its course of action this fall based on the draft reports and meetings with the public. The timeline for the studies remains relatively the same, although several communications complications have likely set back the time of the draft reports until June. Following the release of the draft reports, set to come out simultaneously, there will be a public comment period. The final decision will take into account those opinions.